9 Run Run ... we were there! 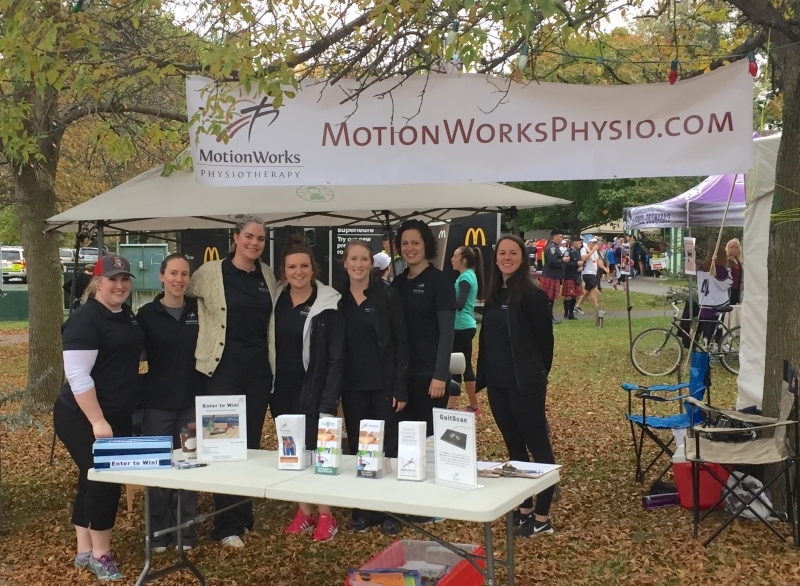 It is hard to believe it has been almost a week since we were set up at Stittsville's own 9 Run Run charity race, on Saturday October 14th, 2017. Not to mention the months of preparation leading up to the 'big day'. Although mother nature was threatening rain, only a few drizzles fell, and spirits remained high all day. Runners helped raise money for local charities, including Do It For Daron (DIFD). 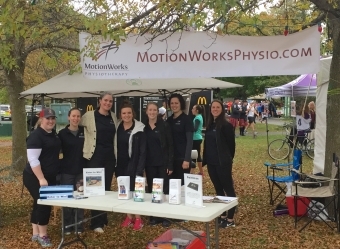 Eight Motion Works Physiotherapy & Sports Injury Centre team members (5 physiotherapists, 2 massage therapists, 1 admin) volunteered their time and helped provide free post-race stretch and massage for runners. Our booth, information/education, and services were greatly appreciated by runners and family alike, as we had a steady line up at the tent! Not to mention the draw for our prize pack (massage gift certificate, foam roller, self-massage stick, exercise bands, and more) valued at over $250. Our winner, Terri, was elated to find out she won, and proudly picked up her prize this week in her 9 Run Run race shirt! Thank you to the staff that volunteered their time and energy to help the runners and the clinic's contribution back to our community. Thank you to the people that stopped by the booth for new information; or to catch up since their last treatment/visit in clinic; or runners that were running their first half marathon. We had a blast and look forward to another successful presence next year!